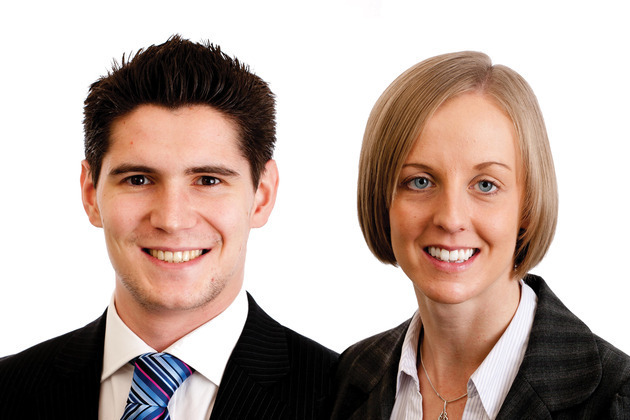 Woodcocks Haworth and Nuttall Solicitors has promoted two of its rising stars. Daniel Long and Sara Beaumont have become partners after playing key roles in developing the firm’s commercial department. Daniel, 28 from Bury, joined WHN Solicitors as a paralegal in 2009 and qualified as solicitor in 2011. He led the development of a new Commercial Property Dispute Resolution service (CPDR) to aid the firm’s commercial property portfolio. Sara Beaumont from Ramsbottom, joined the firm in 2006 as a trainee solicitor. Since qualifying as solicitor in 2008, the 30 year-old’s focus has been the provision of a streamlined service to help businesses get paid quicker. She launched WHN Debt Recovery in 2014 to expand the WHN’s commercial litigation department. Speaking of the promotions, senior partner, David McCann, said: “I’ve had the pleasure of seeing both Daniel and Sara work exceptionally hard to support the firm\'s growth and so it’s pleasing to recognise their commitment with promotion to partner. Daniel has helped a host of local, national and international landlords and investors resolve their commercial disputes following the launch of the CPDR service. His legal expertise covers commercial landlord and tenant disputes including, dilapidations, arrears recovery, lease renewals, breach of covenant, insolvency issues and possession matters. Sara has handled a number of high value contract disputes, contentious intellectual property matters and insolvency cases. The new partners believe the firm’s entrepreneurial growth strategy is supporting the future success of the region’s businesses. WHN Solicitors has a turnover of £5million and employs over 100 staff. It has seven offices across Greater Manchester and Lancashire.